We had our first look at Power Pack 3 for Windows Home Server way back in mid-July when Microsoft announced the Power Pack and opened up a public beta. The Power Pack has been through a ton of testing since then, and today Microsoft is announcing that Power Pack 3 will be available in all shipping languages (Chinese, English, French, German, Italian, Japanese, and Spanish) on November 24th. The update will be delivered via Windows Update and does require that your home server already be running Power Pack 2. If you’ve been running the Power Pack 3 beta you’ll also need to be sure to uninstall it so to enable your server to download the RTM version. In case you haven’t tried the Power Pack 3 beta, here is a closer look at what you can expect to see once your server is updated next week. The primary focus of Power Pack 3 is to improve the Windows Home Server experience with Windows 7 and Windows Media Center. 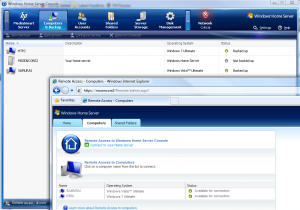 Windows 7 has so far worked fairly well with Windows Home Server, though it’s not been officially supported, and Power Pack 3 brings several enhancements and fixes to get Windows 7 working great with Windows Home Server. 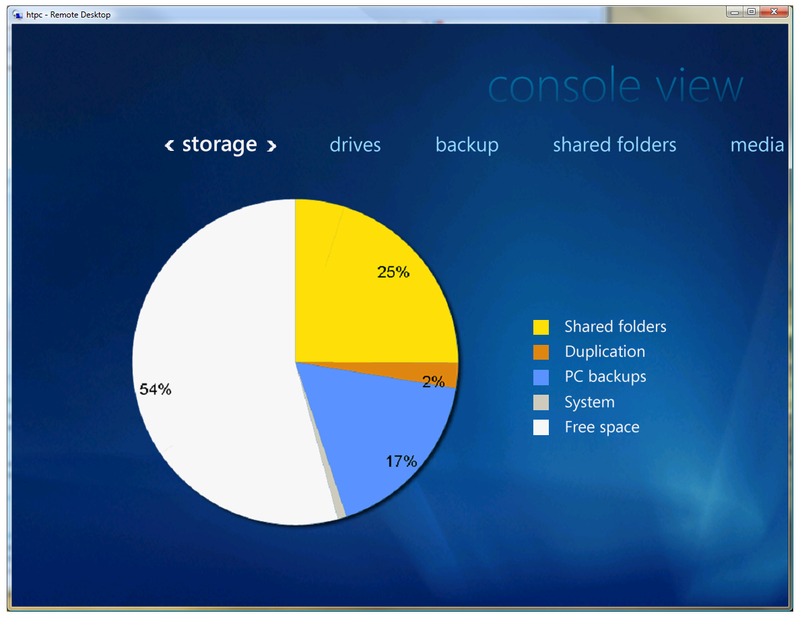 These include properly displaying Windows 7 in the Computers and Backup tab of the Home Server Console, better management of Windows 7 power settings with Home Server Backups, and the ability to suppress the Action Center warning reminding you that Windows Backup has not been set up. 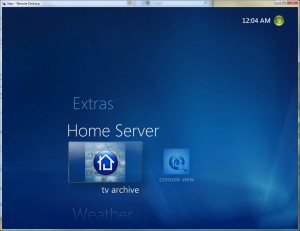 After installing the new Windows Home Server Connector on your Windows 7 computer, you’ll now be able to automatically access the home server shared folders from within the Windows 7 libraries. 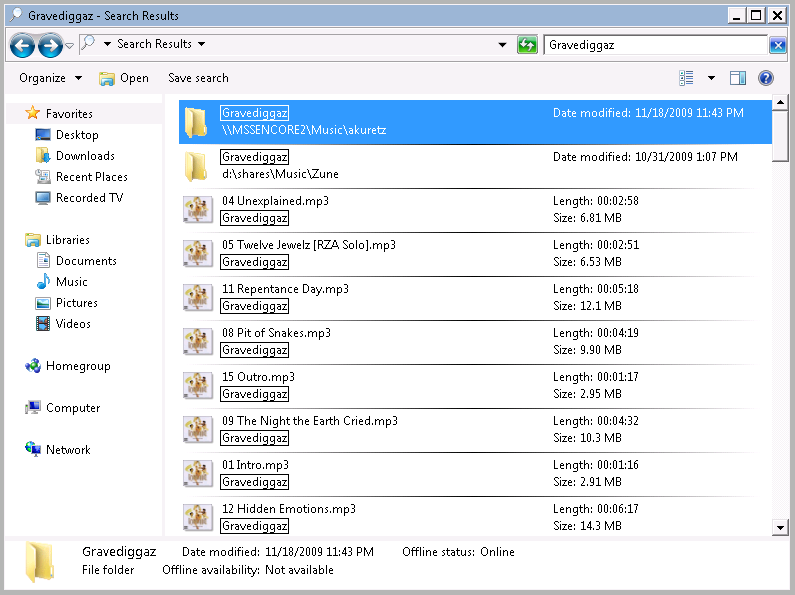 Power Pack 3 also includes Windows Search 4, which improves the search times and reliability of searching for files. 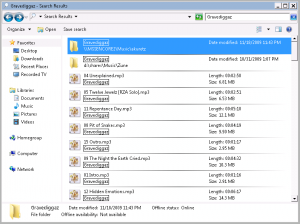 Now finding that misplaced “Gravediggaz” album on your Home Server is as simple as clicking the Start button on your Windows 7 PC and typing in the name. 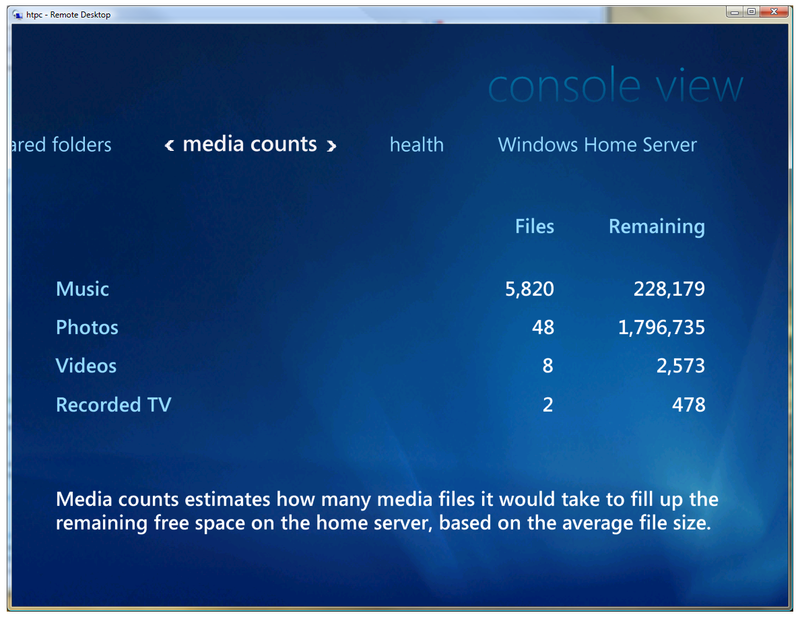 There are also new features that more tightly integrate Windows Media Center with Windows Home Server. 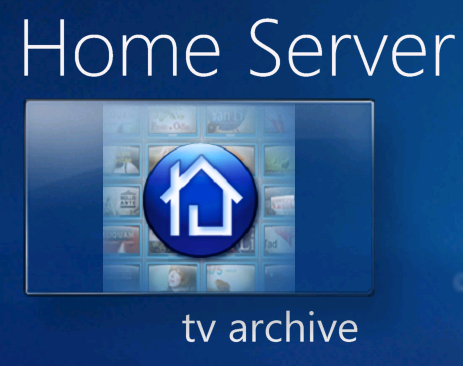 After installing the Windows Home Server Connector and Windows Media Center Connector on your Windows Media Center computer, you’ll find a new ‘Home Server’ menu item in the Media Center interface that provides two options. 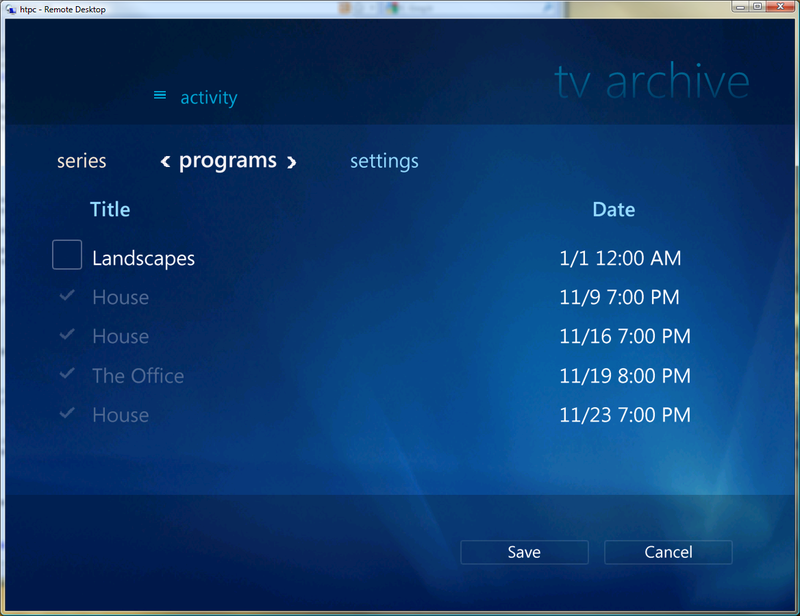 The TV Archive feature will automatically archive recorded TV by moving your recordings from your Windows Media Center computer to your home server, and can even convert the recordings to a variety of formats to suit your home computers and/or portable devices. 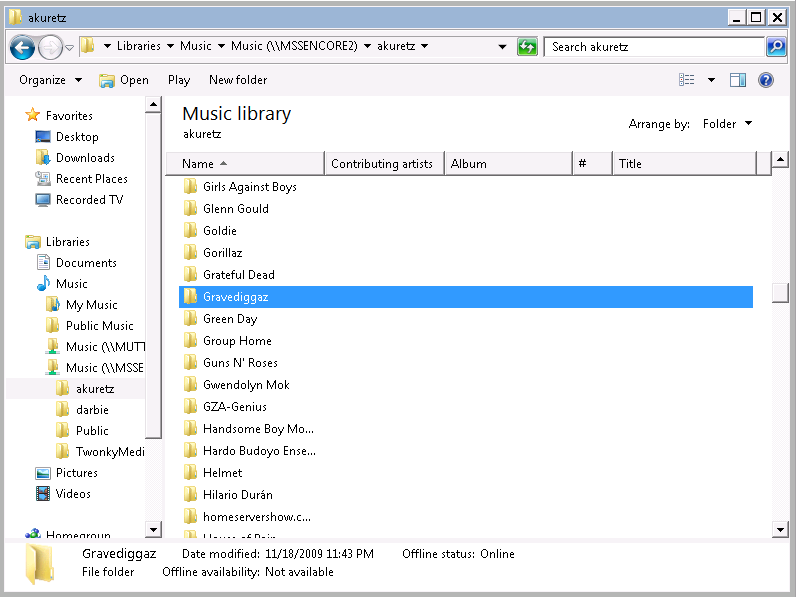 Conversion options for the portable devices include Windows Mobile (320×240 resolution) and Zune (720×480 resolution). You can choose to convert individual programs or episodes, or to have it convert an entire series of recordings. There is also an Activity menu where you can see the results and history of the Archive and Conversion processes. 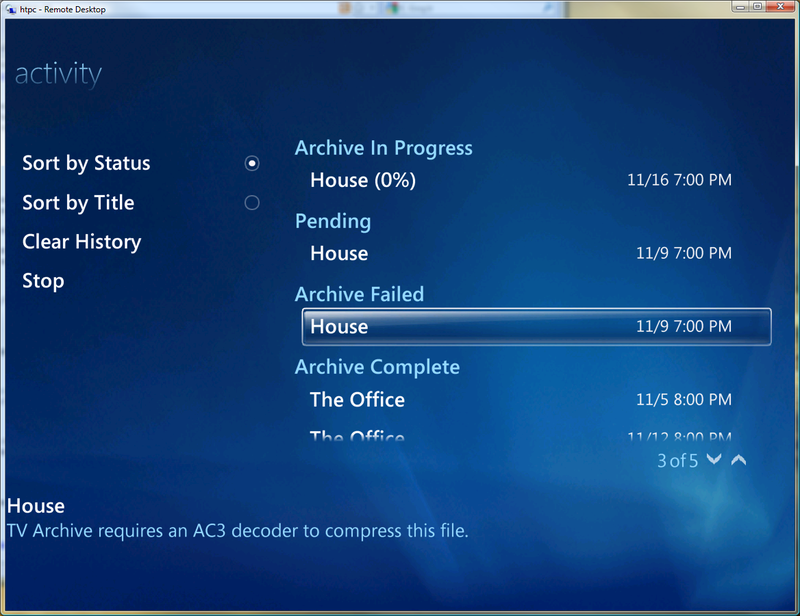 In this example my two recordings of The Office have been successfully moved to the Home Server, however the Conversion process is failing due to the lack of an AC3 decoder capable of decoding the digital audio from the HD recordings. I’m a bit disappointed with this failure with the Beta software, and am hopeful there have been improvements in the final release. 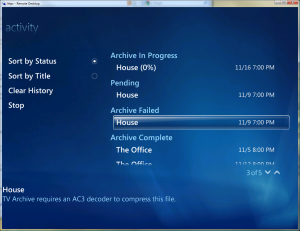 I have also yet to try installing an AC3 decoder to see if this would allow the conversions to complete successfully. The other new feature for Windows Media Center is a Console View that allows you to view the details of your Home Server from within Media Center or an Extender such as the Xbox 360. I don’t personally think I’ll utilize this feature very much, but it is nice to have access to your home server details in as many ways as possible. Even if you’ve not yet upgraded to Windows 7 or don’t use a Windows Media Center PC you’ll want to upgrade to Power Pack 3 in order to pick up the included bug fixes. You can read the entire release notes to see what else is included in Power Pack 3 when those are made available at release time. Windows Home Server Power Pack 3 makes storing and accessing your media easier by bringing all the content contained on your Home Server smoothly into your Windows 7 libraries. 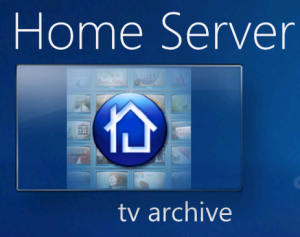 TV Archive is also a very nice feature that has allowed me to record TV shows and move them to my Home Server to be watched at a later time. I’m overall quite pleased with Power Pack 3 and am looking forward to the final release coming next week. And, for those already running PP3 Beta, make sure you uninstall PP3 Beta before next Tuesday. Check your software share for the PP3 Beta 1 folder and you’ll find an uninstall cmd that needs to be run properly. 2. Navigate to the Windows Home Server Power Pack 3 Beta folder at Start > My Computer > D: > Shares > Software > Windows Home Server Power Pack 3 Beta. 3. Run the Uninstall.cmd file to un-install Power Pack 3 Beta. After reboot, your Home Server will revert back to your previous version. 4. 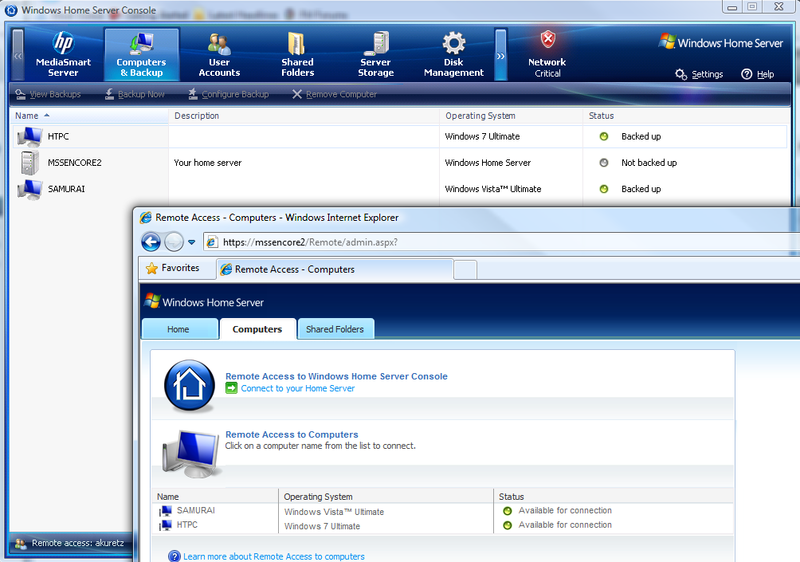 Re-install the updated Windows Home Server Connector software on your home computer. Great point, Texas-Hansen, I’ve updated the article above to mention that beta testers need to be sure to uninstall the beta version in order to get the RTM version. As always great write up Alex. I think the moral of the story, don’t misplace your Gravediggaz album!!! Thanks for the tip Tex, never got around to testing out the PP3 beta but I am sure many other have. I am one of the beta testers, and all of my clients are win7. Tex, thanks, I was looking for the proper way to remove the beta. Are there any cool new features developers can use in Add-Ons? Unfortunately no, there were no changes to the extensibility that I’m aware of. Any news about the HP update? Was it supposed to be delivered at the same time? @cmerger: No, HP stated December in their announcement. Looks like someone pushed out some sort of an update a few days early. MSS was real sluggish with regards to the Console, so I rebooted it. Windows 7 now shows up in my Computers and Backup tab even though my Resources tab shows PP2. Has anybody received the PP3 update yet? I checked my WHS around 11.00 GMT but no updates were available then. No update here at well, 12:52 GMT / 6:52 CST. Tried the console panel – settings – update now button and still no update. Hasn’t shown up yet…7:55 am EST on 11/24! Don’t worry, everybody. Past updates from Microsoft seem to come in the mid-morning timeframe, Pacific time. Perhaps the Redmond team sleeps in on release days? If it doesn’t show up by noon, EST, Alex has promised to come by my office personally and fix up all petty annoyances I have with WHS, Microsoft, and my first wife, and set us up as a test site for the WHS server add-on that changes the kitty litter. 17.30 GMT and still nothing, have they forgot about us…. It’s usually 10AM PST, another half-hour or so. Thanks…still need used kitty litter removal add-on. So do I, I’ve got two furballs and I’m the designated litterbox cleaner. BTW i got all the updates and after restarting i decided to check to see if there was any more and got another, worth checking. Two? Two is nuttin’. We have adopted nine strays over the years, and six are still hale and hearty. OK, my EX490 is now running Powerpack 3. Do I need to install a new Windows Home Server Connector on my Windows 7 computer? When you log into your W7 machine you shoudl see your WHS health light is red. If you click on it will tell you that a new update to the connector software is available. You can install directly from there. I installed the power pack 3 on my 470 and now the server will start up and then after a couple of minutes just shuts itself own. I start it back up again and it shuts down. I have don’t this at least 7 times and I do not have any beta software on my server. Anyone have any ideas to help with this?? I’ve not heard of anyone else experiencing this, and my primary MSS is an EX470 and upgraded without incident. Can you describe the behavior of the LEDs during the boot process? Does the “Health” LED ever get to solid blue? You can try unplugging it for 30 seconds or so and starting it again, but it sounds like some sort of issue has occurred. In the worst case a Server Recovery should get you working, but I’d do some more experimenting first. Posting in the Forums will likely get you more visibility and ideas from the rest of the community. WHS automatically installed PP3 and clients prompted for install of new Connector, but Backups are still showing exclusion of Temp files and directories. I thought PP3 was going to resolve this? Doug, are you looking at the new backups since PP3 installed? As you can see from my testing the temp directories are getting backed up now, though I’ve only tried it on Vista and Win7. I have not looked at the actual backups yet – will check that here in a few. I was looking though the backup configuration screens and noticed that “temp files” is still in the exclude list and cannot be removed. I do see folders named ‘Temp’ in the new backup sets so that is a change from pre-PP3, but there is still an entry in the exclude list for User Temp. Does this mean that some of the temp files/folders are still not being backed up? Should I move this dialogue to one of the forum threads? Hi Doug, the issue that I spoke about was with WHS not backing up any folder specifically named “temp”. As a feature (that I believe is a good thing) WHS backup will exclude some user temporary directories such as Temporary Internet files. I don’t personally feel there is anything wrong with that. If you see a scenario where important user data can be lost, please let us know either here or in the forums. Q: Can I install PP3 to EX485? Will this give me more option to stream media? Hi Otto, PP3 is available for all Windows Home Servers and likely has already installed itself on your EX485 if you have automatic updates available. The features included are covered pretty well in this article. Then you likely have a beta of some previous power pack installed, you can check your version from the Resources settings tab against our list in the Wiki. Q. 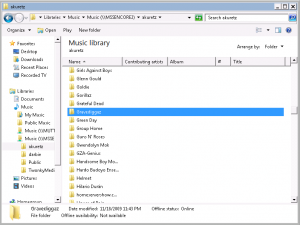 Do know if Windows Media Center application is possible to install to server 2003 sp2? Currently WMC is not integrated with Server 2003. I am hoping that will the next release (Vail) that is finally is.